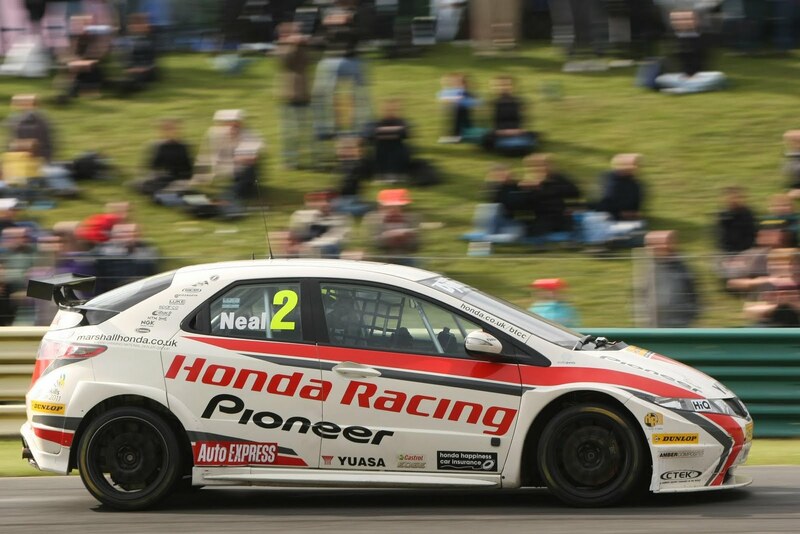 Matt Neal at Croft... See him at Snetterton! Honda Racing Team drivers Matt Neal and Gordon ‘Flash’ Shedden are eager to continue their dominant form as the 2011 Dunlop MSA British Touring Car Championship blasts back into life at Snetterton in Norfolk this weekend. The Civic duo are first and third in the drivers’ points standings at the halfway point of the year and are aiming to stretch further away from the competitive field over the remaining 15 rounds. Both drivers took part in a test session at Donington Park recently to check out revisions to the two-litre turbocharged machine and say they are keen to get back into the heat of battle. A rule change from the championship bosses will peg back Neal’s and Shedden’s cars and force them to run with less turbo boost pressure this weekend but Neal says that the homework done by the team should keep the car at the front. The Snetterton circuit has been completely remodelled since last season and now features a new three-mile configuration with a demanding infield section. ‘Flash’ Gordon says that the challenge will be ramped up for everyone.